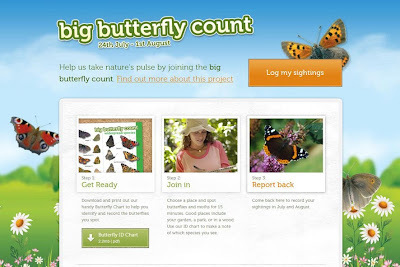 Butterfly count is a good project for my students. Thanks for the idea! 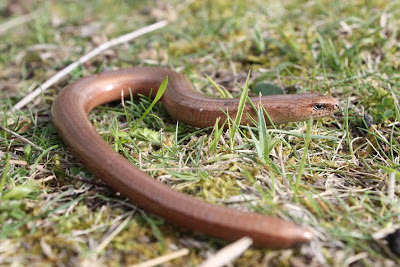 I have not seen a slowworm anywhere hereabouts, although other types of worms and lizards are there plenty. 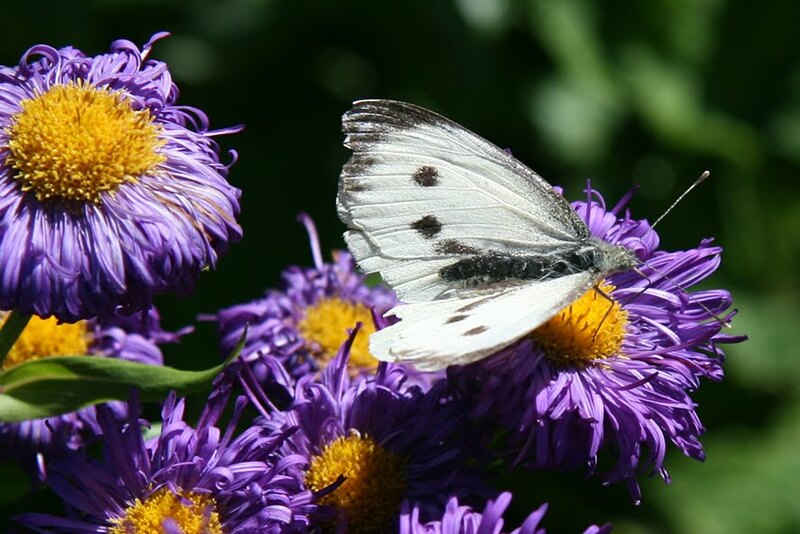 The butterfly count is a bit of a difficult one - firstly the butterflies flit around quickly and it's almost impossible to follow which have been counted and secondly butterflies flitting can be difficult to identify especially those that look similar. As for counting moths well that is even more difficult. I always do the bird count and will attempt this but I'm less confident that the results will be accurate. Also around our garden peacocks tend to be around a bit later. Mmmm I may submit my count, but I do find it pretty pointless considering you're unlikely to see Orange-tips and such at this time of year. And for 15 seconds? I also saw two Commas on the Buddleja at the same time. And yet, if I'd done this just last weekend I would've had a higher count of Speckled Woods, Skippers and even a Small Copper but the latter two were not sighted today. 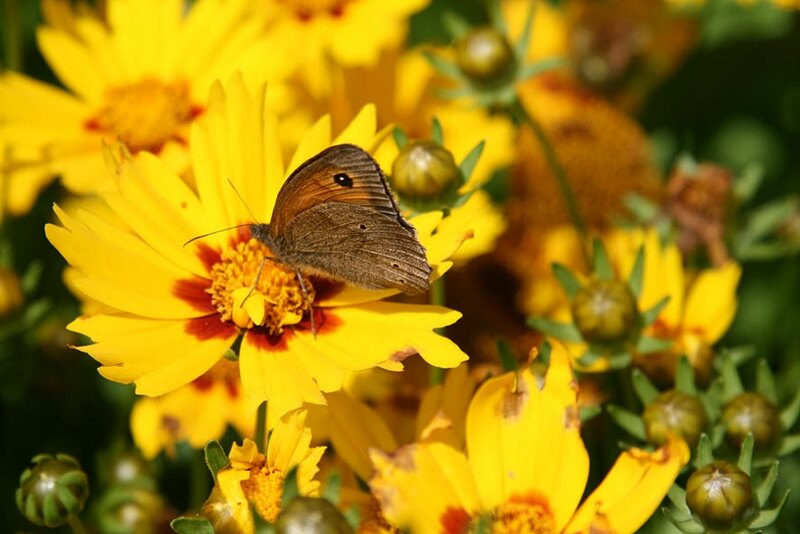 Btw, I think your unknown Butterflies are Small Tortoiseshells. 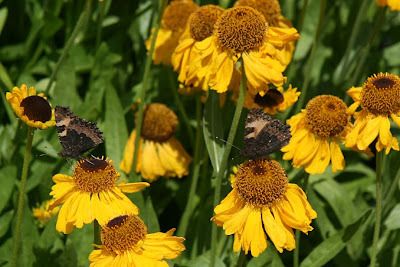 Never noticed the question about unknown butterflies and I agree with Liz - small tortoiseshells - but doesn't that just go to show that identifying is difficult especially if the wings are folded. Isn't it 15 minutes rather than 15 seconds though? Hi Shirl. As expected a very interesting and informative post. The flutters are definitely Small Tortoiseshells...if at the chrysalis stage they are subjected to high temps then some appear with reduced colouring and the spots may be fused together. FAB. Hi again lotusleaf, sounds a good plan! 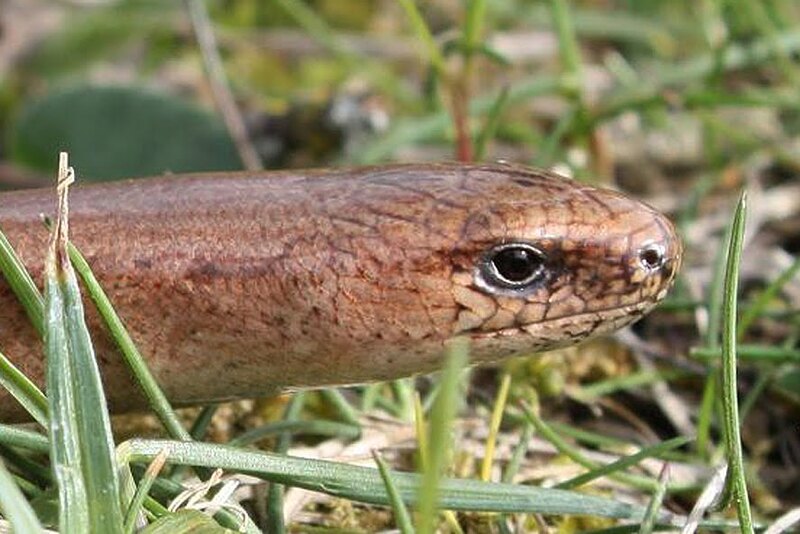 I wonder what the nearest reptile species to the slow worm lives with you in South India. I would imagine you see many wonderful lizards in your tropical garden! I hear what you are saying re the Orange-tips but on looking at the online sheet to submit results it doesn’t appear on it. I guess the organisers have listed butterflies that you are most likely to see at this time of year. Thanks for the ID on the small tortoiseshells. That was my closest guess but the colour threw me there. 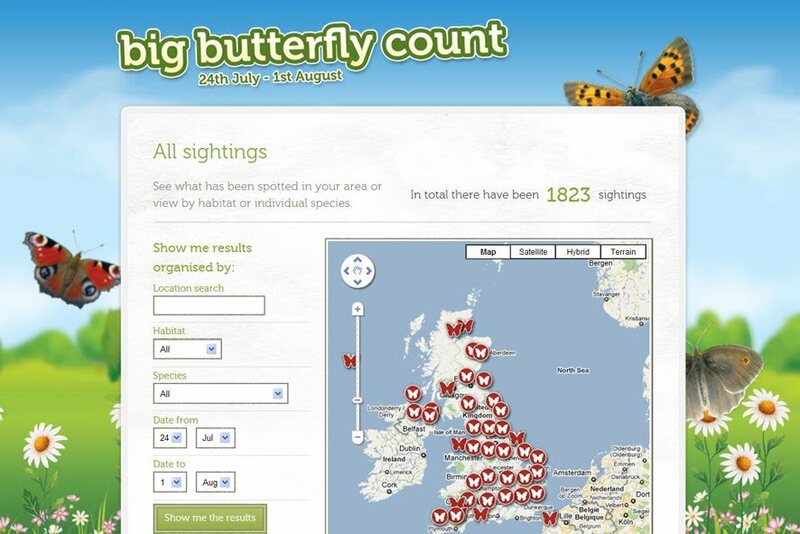 The butterfly count here is earlier in the month. It has been so darned hot here it wouldn't be fun to be out counting but even I could do 15 mintues. ha... I have never heard of slow worms. I knew there were lizards without legs but I had never heard them called slow worms. Maybe I just forgot that part. They are interesting creatures. A very interesting read Shirl. I will have a look at the butterfly survey but they have only just started to visit my garden. Great video from Ben. He is certainly very enthusiastic and would make a brilliant TV wildlife presenter.